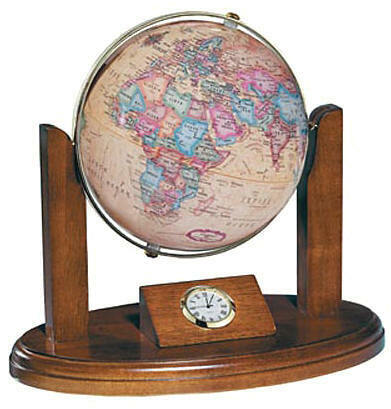 Features such as a quartz clock, brass-plated Gyromatic mounting and walnut-finish wood base have made the Executive one of our most popular gift and award globes! The angled mounting of the brass-accented clock provides at-a-glance convenience. Battery included.